Vitabath is one of the best gifts in this world! I love giving scented gifts because they are easy to find for people; everyone has a scent they love! Just ask them and they can will tell you what they like then you can pick the scent that is perfect for them! Everyone wants to smell and look good and uses bath products so why not get them something they use and will love! The Original Spring Green Bath and Shower Gelee is the perfect Father's Day gift! We got to try it and love it! Vitabath's Original Spring Green is an intoxicating scent of patchouli and pine, lightly accented with accords of rosewood. A classic fragrance 60 years later fans love it! I love the smell it gives my man while in and out of the shower! The Moisturizing Bath & Shower Gelée formula is paraben free and offers enhanced botanical extracts such as Horse Chestnut Extract, Biotin, Sunflower Oil, and Lanolin Oil. Vitamins A and E are beautifully blended to help condition the skin while cleansing. 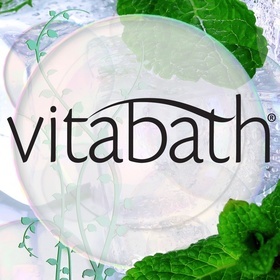 Unlike traditional bar soaps, Vitabath Moisturizing Bath & Shower Gelée is mild to the skin, providing conditioning benefits that maintain the skin's delicate acid mantle, the natural protective coating on its surface. In the bath or shower, Vitabath Moisturizing Bath & Shower Gelée gently cleanses with a rich, creamy lather. Brighten the man in your life's day! Get them Vitabath Spring Green Gelee! The scent is amazing in and out of the shower. It honestly fills the house and gives you that fresh ready to start the day feeling. 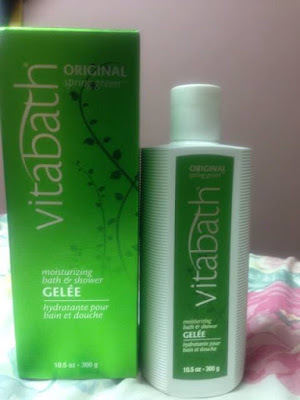 We haven't had a Vitabath product yet we didn't love!